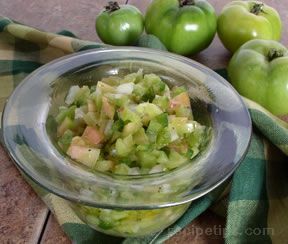 This easy-to-make salsa recipe makes a great appetizer when served with chips. 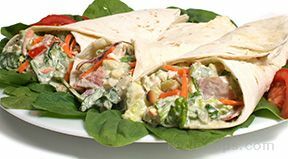 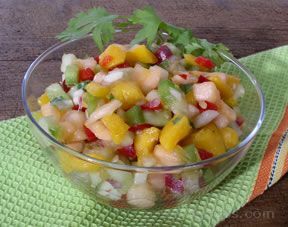 Use it as a topping for salmon and other varieties of fish. 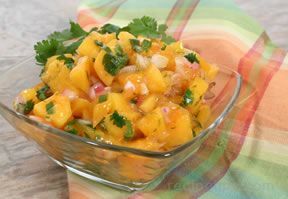 The fresh cilantro adds a refreshing aroma and flavor to this Mexican recipe. 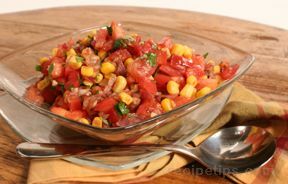 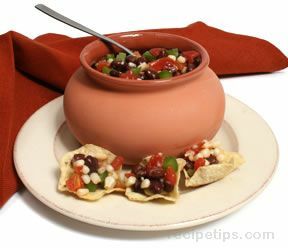 In small bowl, combine the garlic, olive oil, balsamic vinegar, corn kernels, tomatoes, onion, and cilantro. 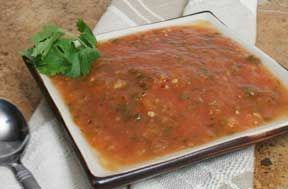 This recipe makes approximately 2 1/2 cups of salsa. 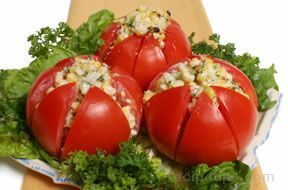 **Note: For a milder onion flavor, a sweet onion can be substituted for the red onion. 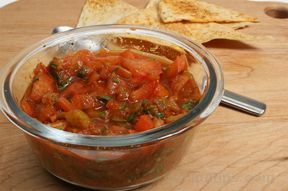 **Note: Canned tomatoes can be substituted for fresh tomatoes. 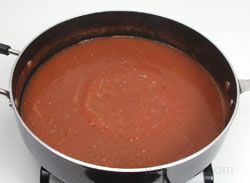 A 28-ounce can of tomatoes provides about 1 1/2 cups of tomatoes, drained. 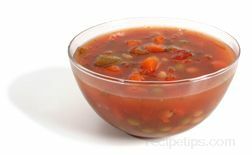 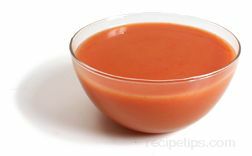 If canned tomatoes are used, drain the juice and mix the tomatoes with the other ingredients. 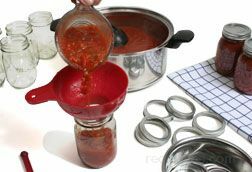 If a spicier flavor is desired, add a can of seasoned diced tomatoes to the salsa ingredients rather than using regular canned tomatoes. 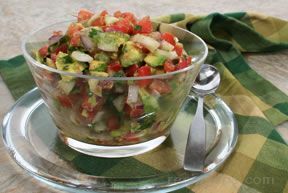 "I love this salsa with all the fresh ingredients. 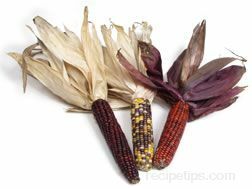 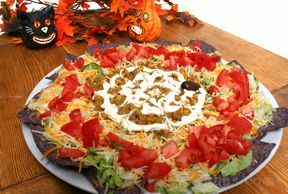 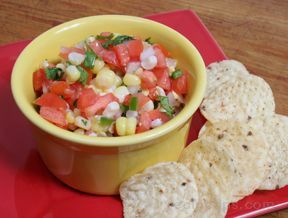 It makes the prefect late summer and fall snack." 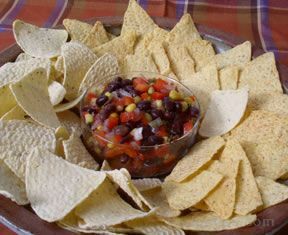 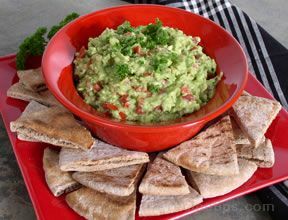 "We had friends over for cocktails out on our patio and I had made this salsa just for something to munch on. 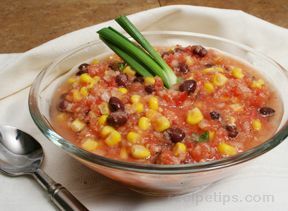 I used fresh tomatoes from our garden and added 1 cup of corn because we like a little extra corn in it. 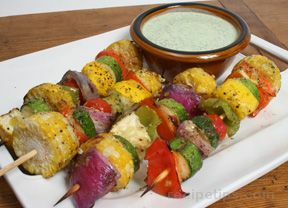 It was perfect with our cocktails." 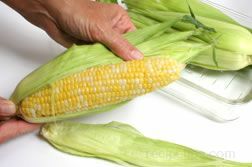 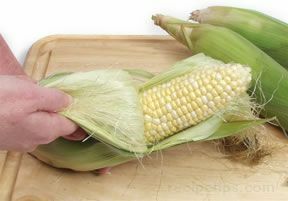 "I grilled up some corn and had some leftovers. 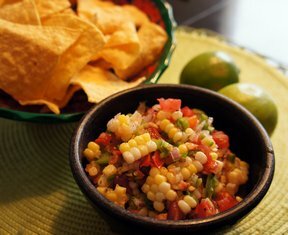 I made this salsa, using the leftover grilled corn and Roma tomatoes - what a hit! 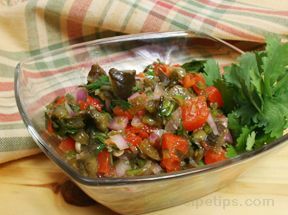 I will make this again as an appetizer. 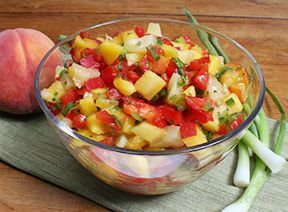 It would be REALLY good on grilled French bread as a bruschetta."